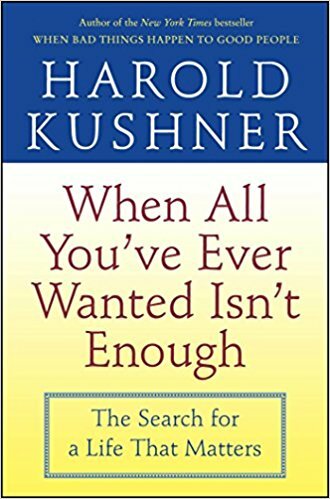 With the same compassion and wisdom that powered his phenomenal bestseller When Bad Things Happen to Good People, Harold Kushner addresses a need that is universal and timeless — the wish for a meaningful life. Why is it that, after attaining many of our goals, we are left with a sense that something vital is missing? In his deeply inspiring bestseller, Rabbi Kushner shows us how to live as human beings are meant to. He guides us to a heightened sense of joy, purpose, and meaning, and helps us to redirect our energies toward goals that will bring us lasting happiness and true fulfillment.